Another spectrafranken today, cause I have so much fun creating them I just can't stop myself. As soon as I created this polish I instantly knew who it reminded me of. Kristy from the Polish Haven. 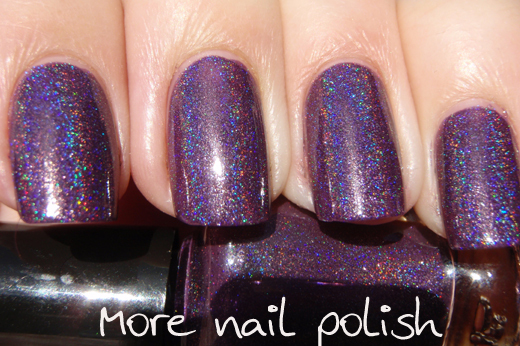 You see Kristy has an addition problem with purple polishes, so I have named this franken after her blog. Purple Haven. When I went to create this franken, I was looking through all my Ulta3 swatches looking for something dark, but with a jelly finish. I spotted Gooseberry, which is a very dark purply plum, the clear polish and the spectraflair really lightened it up and created this soft dusty purple. I really love it. Don't forget to get creative and email me your spectrafrankens and/or colour morphing frankens, and go in the drawn to win three Picture Polishes. Awesome franken and it is indeed perfect for Kristy!!! Ohhhh I LOVE it! I have Gooseberry too - wooop!!! Kristy definitely loves her purple!! 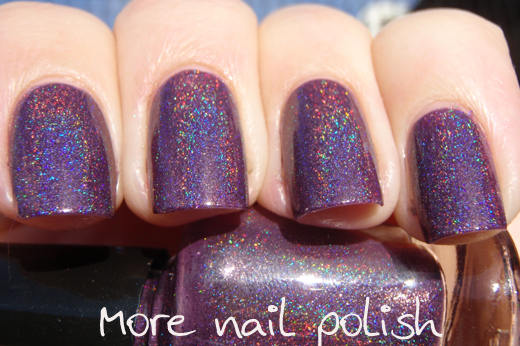 Very awesome holo as usual! I'm working on your franken contest! =o I really like this one! This is beautiful! 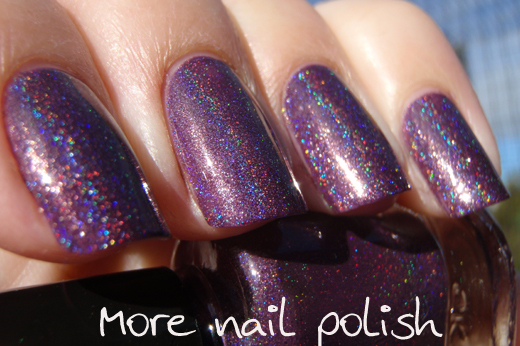 Holo yumminess! Eeeeeee! I final got up the gumption to use my spectraflair today. Made a topcoat. It turned out EXACTLY like I wanted. SF is def a gateway drug. I r hooked! Have u received the suspension bases yet? I used the mica/pigment base. Glamour I think it's called. No separation yet. Since this a.m. anyway. I just published a Specktraflair franken post, I had to ration it bevause I just have 1 gram of it! 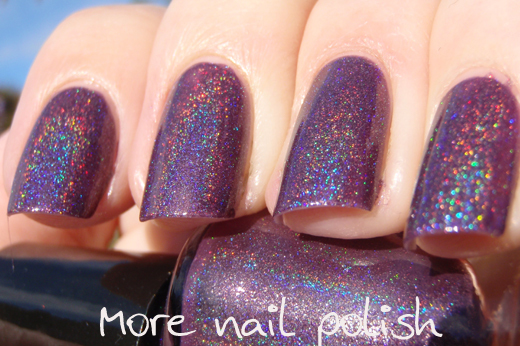 I want a polish named after my blog! Haha Such a great color. I'd Love to get creative and start making spectrafrankens and/or colour morphing frankens. Show me your frankens and win Picture Polish!